Single point radiofrequency (RF) catheters are widely used in catheter ablations. These catheters transmit energy from a single point at the tip of the catheter, which means that the radiofrequency energy is "unipolar". To make lesions, electrophysiologists ablate one spot after another, similar to drawing a line by making dots one after the other. If all the dots are not connected, afib could re-enter the heart in the unablated space (gap). In general, high temperatures are needed to make sure that all layers of tissue are ablated. However, these high temperatures can also lead to blood and tissue accumulating on the catheter tip. This is known as char formation. When charring occurs, only the outer layer of tissue may be ablated, which means the lesion isn't transmural. In addition, heat generated by radiofrequency energy can cause blood around the ablated area to clot (thrombus formation). If a clot were to dislodge from the heart, a stroke could occur. To decrease the chance that this might happen, irrigated radiofrequency energy catheters (sometimes called "cooled RF") were developed. Most electrophysiologists use this type of single point catheter today.1 Irrigated catheters have tiny holes at the tip that spread cooled water, usually a saline solution, to the ablation area. In this way, the electrophysiologist can deliver high levels of radiofrequency energy while moderating the temperature where the catheter connects with heart tissue. While there are many radiofrequency catheters, the THERMOCOOL Irrigated Tip Catheter (Biosense Webster) is the only single point radiofrequency catheter that has been approved in the US specifically for afib ablation. Having FDA approval to treat a specific condition simply means that the manufacturer can advertise and market the catheter for atrial fibrillation treatment. Other catheters can also be used to perform afib ablation even if they don't have a specific FDA approval for afib. This is known as off-label use and is at the doctor's discretion. Not having FDA approval doesn't mean a catheter can't effectively treat atrial fibrillation. It simply means that clinical trials and FDA review of the trial results have not yet been completed. The one-year results from the THERMOCOOL catheter US clinical trial were presented at the Heart Rhythm Society meeting in 2009. The 167 patients in the study had paroxysmal atrial fibrillation and were randomized to receive either an ablation using the THERMOCOOL catheter or antiarrhythmic drug therapy. Patients had to have failed at least one antiarrhythmic medication in order to participate in the trial. The results showed that the THERMOCOOL catheter ablation was more effective than antiarrhythmic medication in controlling afib. Of the patients who had the ablation, 66% were free from atrial fibrillation at 12 months, although a few remained on antiarrhythmic medication. Only 16% of patients who were treated with drugs were free of afib episodes. The THERMOCOOL catheter ablation also had a better safety profile than antiarrhythmic drugs, with a serious adverse event rate of only 5% as compared to 9% for the drug arm. In addition, patients who had an ablation had a significant improvement in quality of life. For more information about the THERMOCOOL trial results, see our video interviews with Dr. David Wilber, the principal investigator, and Dr. Steven Hao, a trial investigator. The THERMOCOOL trial results are very important for afib patients because they proved that catheter ablation can successfully treat atrial fibrillation. 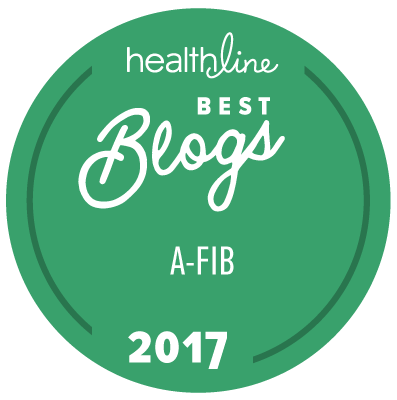 They also set a standard for FDA approval and can be used as a comparison for other ablation catheters that are being investigated for afib treatment. Unipolar radiofrequency energy has been associated with complications, such as cardiac tamponade (filling the heart with fluid), cardiac perforation (rips or tears in the heart), damage to the esophagus or phrenic nerve (one of the nerves that makes the diaphragm contract automatically during breathing), and pulmonary vein stenosis (narrowing of the vein). Because of these serious complications, alternate energy sources, discussed in Balloon Catheters, are being investigated. In addition, Multielectrode Radiofrequency Catheters and Contact Force Sensing Radiofrequency Catheters may also reduce some of these complications.